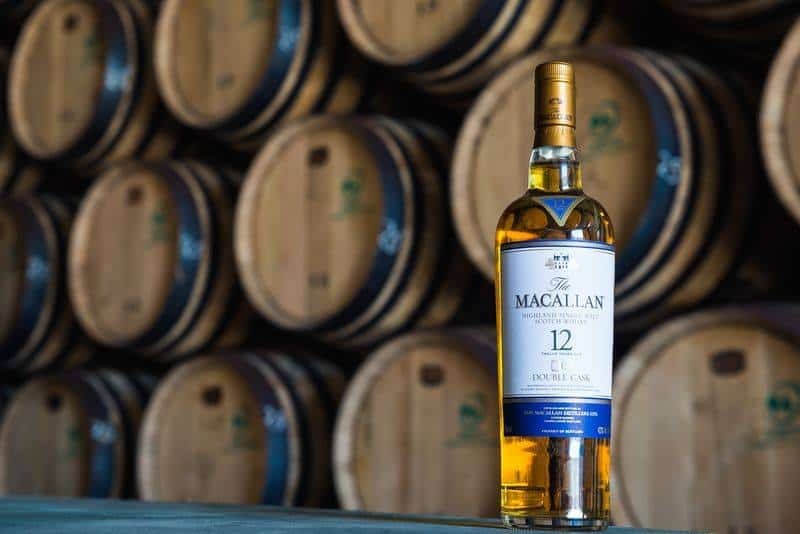 The Macallan have brought back the age statement. I’m sure they’ll say it never really went away (and strictly speaking it was there on some releases, in some markets), but all whisky geeks are really muttering about is the fact that this is a new, affordable whisky and it a lovely number on the front. A 12, in fact. I’ve very much enjoyed Macallan’s No Age Statement releases as it happens, whether that’s Macallan Edition No. 1, the Macallan Whisky Maker’s Edition, or Macallan Ruby. So I’m not really too bothered about the age statement returning, except that we drinkers tend to look at these things like we’re waiting on some prophet or oracle to indicate the future of the industry, and it probably doesn’t mean anything at all. Anyway, the Macallan Double Cask 12 Year Old. It’s entirely sherry matured, except it uses two types of wood: American oak, which in theory gives the spirit more vanilla-esque flavours, and European oak, which gives more heady dried fruits. In theory, of course. 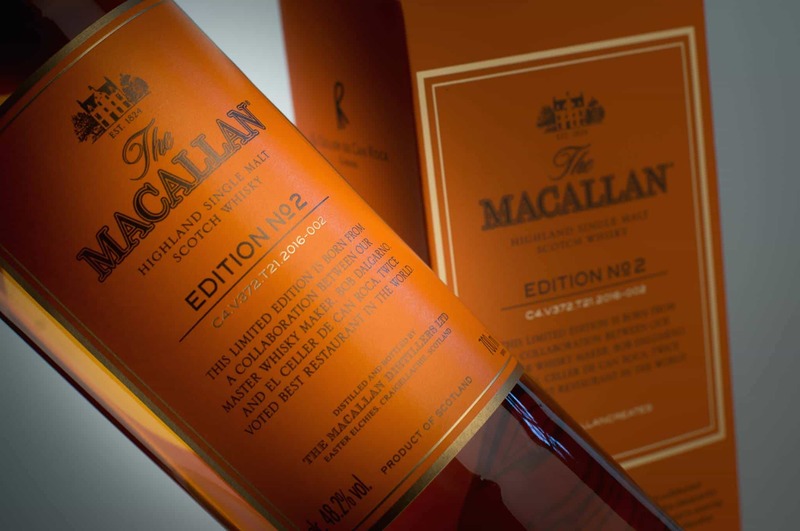 The Macallan Double Cask 12 Year Old costs around £50, and is bottled at 40% ABV. On the nose: really very nice. Dried fruits: sultanas, and dried apricots; quite a lot of vanilla and golden syrup. Then this fresh yeasty note and pork sausages bubbling comes forward, which contrasts with aromas of old cellars. Nutty. Dried oranges. But settling down to toffee and heather honey. In the mouth: again the heather honey leads the way. A little bit of mead. Much more about stewed apples and the dried fruits for me don’t manifest here. Strawberry jam but then a redcurrant tartness, and a black pepper bitterness from the wood that unbalances it. A lot of nuttiness – hazelnuts – and then salted caramel. Whereas the nose was really very exciting, the taste just levelled off. Perhaps it could have benefited from a slightly higher strength, but it’s lacking that sheen of other Macallans. 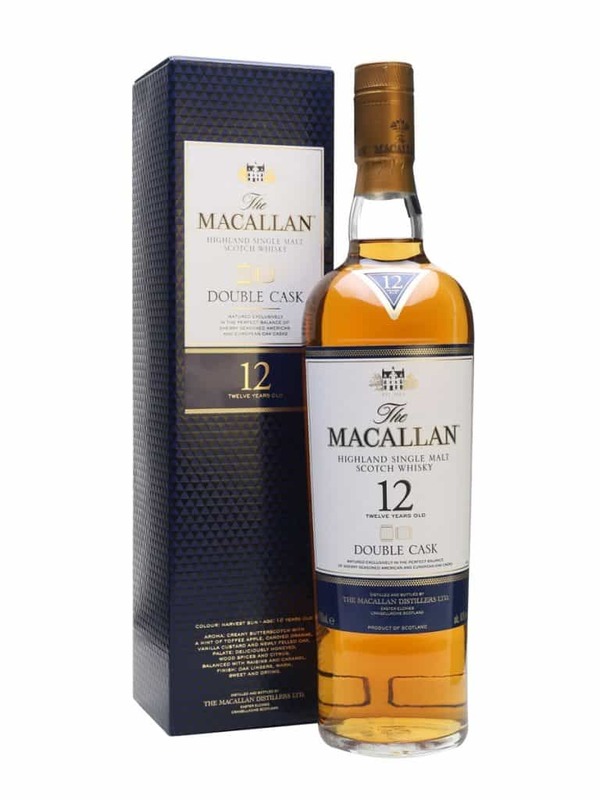 I still think the Macallan Double Cask 12 Year Old is decent enough, though, but generally a disappointment to the palate. Just a bit dull.